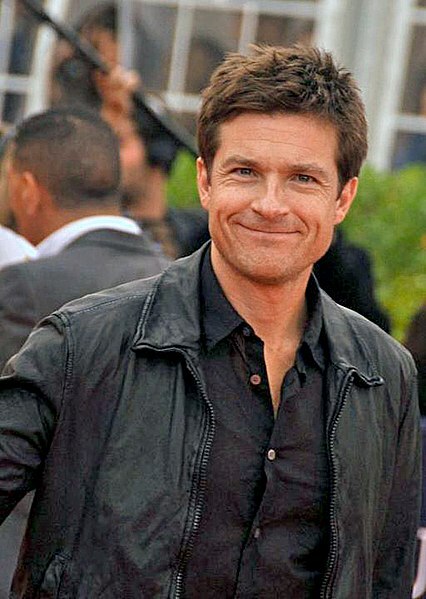 Jason Bateman was born in Rye, New York, United States, on January 14, 1969, is an American actor. Young Jason Bateman began his acting career in western drama television series Little House on the Prairie (1974) in role as James Cooper Ingalls, at age of 12. He made his big screen debut in fantasy comedy movie Teen Wolf Too (1987) in role as Todd Howard. Jason's breakthrough performance came as Michael Bluth in television sitcom Arrested Development, for which he won an Golden Globe Award (2005). He's playing Marty Byrde in crime drama web television series Ozark, since 2017. He made his directorial debut with black comedy film Bad Words (2013). Fan of the Los Angeles Dodgers. He was awarded a Star on the Hollywood Walk of Fame at 6533 Hollywood Boulevard in 2017. He married Amanda Anka in 2001, they have two daughters. He is an avid runner and cycling enthusiast. He featured in video for Mumford and Sons song "Hopeless Wanderer". Won the celebrity portion of the Long Beach Grand Prix (1987). I just love doing sitcoms. I'd be in them till I was gray if they'd have me. I think anybody who's doing work in their teen years on TV or in the movies, you're a teen idol by default. My sense of humor lies a little closer to the middle. Acting has always been very comfortable for me, so it allows me to pay attention to other parts of the process literally while I'm acting. The directing is something that is incredibly satisfying to me and challenging to me because it's asking me to draw on everything I've been able to absorb over all these years of acting and having all this set experience. I was very surprised to get a reading for 'Arrested Development' because it really seemed to be the opposite of that which I was known for doing. I try to perform my characters inside my skill set. Which means I try to keep them close to me. Michael Bluth is very much an exaggerated version of one of my sides. It's very easy for me to be him. I know my abilities. I'm not Daniel Day-Lewis, who's able to fully morph into different people.